The talk reviews a modern machine learning technique called Conformal Predictors. 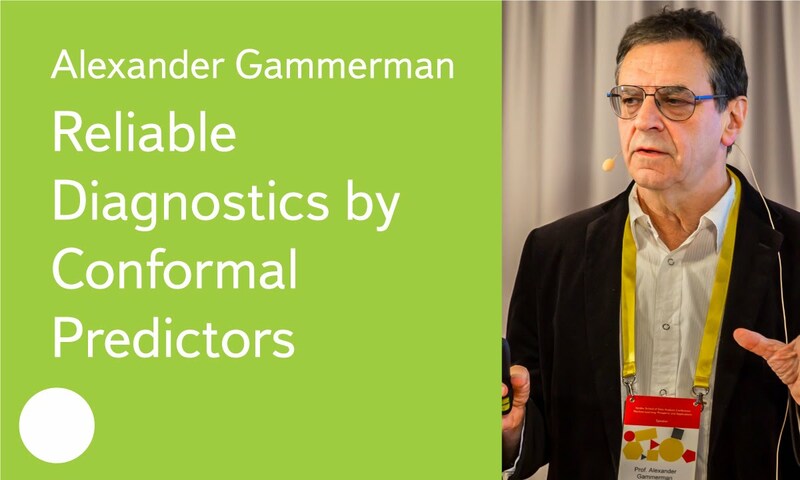 The talk outlines the basic ideas of Conformal Predictors and then illustrates the technique with applications to several medical problems. 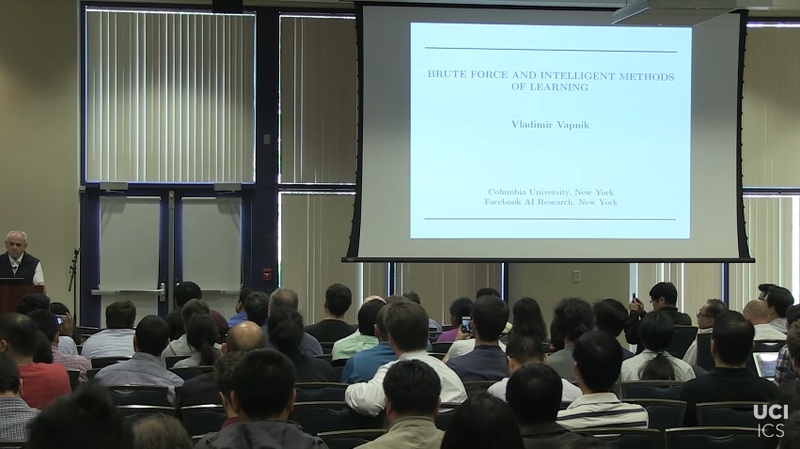 The topic of this talk is a method of turning machine-learning algorithms into probabilistic predictors that automatically enjoys a property of validity, is computationally efficient, and preserves predictive efficiency. The common observation was that human students require much less examples for training than a learning machine. 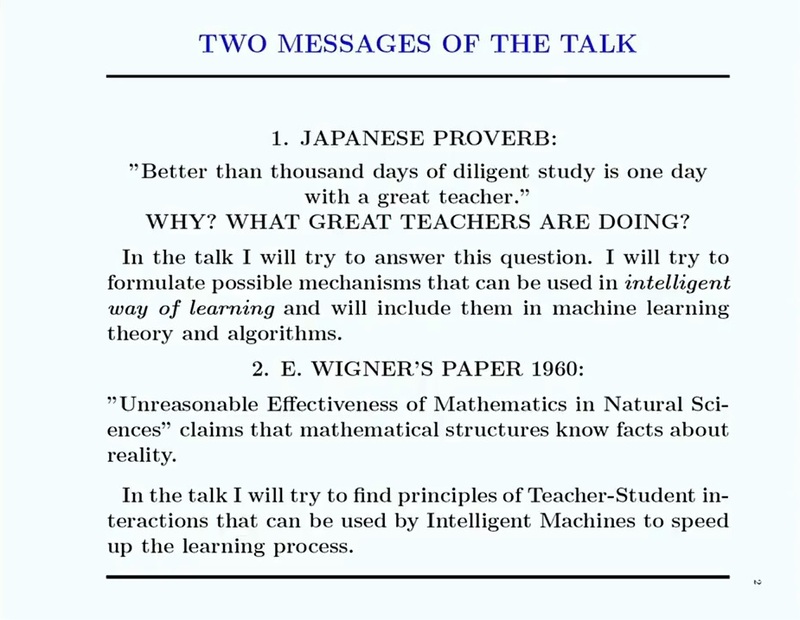 It is because the human students have an intelligent teacher and that teacher-student interactions are based not only on the brute force methods of function estimation from observations. Game-theoretic probability formalizes the picture in which both risk and uncertainty interfere at every moment. The fruitfulness of this picture will be demonstrated by open theories in science and the emergence of stochasticity and probability in finance. 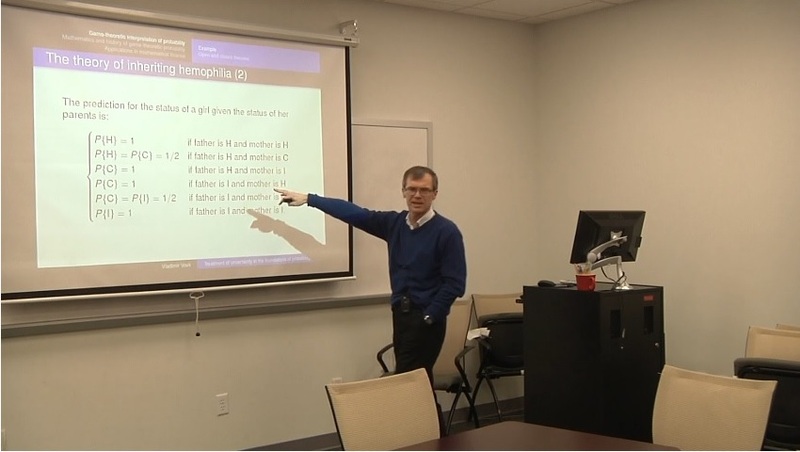 The goal of this talk is to introduce a new conceptual model of learning, the so-called Intelligent Learning, which goes beyond the classical model. In the talk I will consider Teacher-Student interaction in learning processes. I will introduce a new learning paradigm, called Learning Using Statistical Invariants (LUSI), which is different from the classical one. 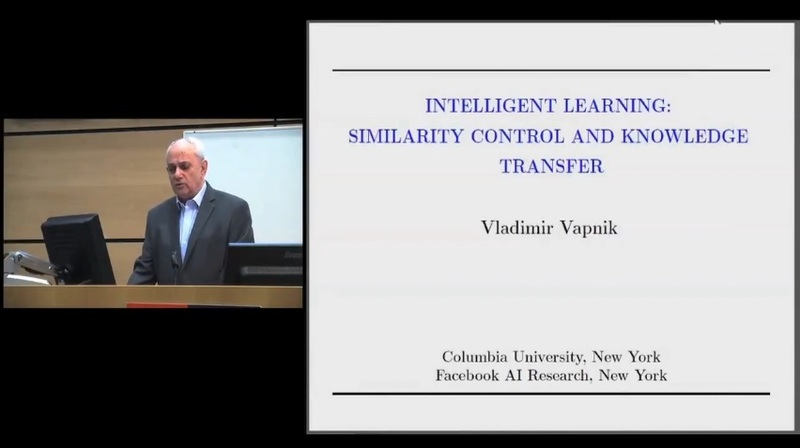 This talks summarises the applications of data analysis and machine learning, developed by Alexey Chervonenkis. 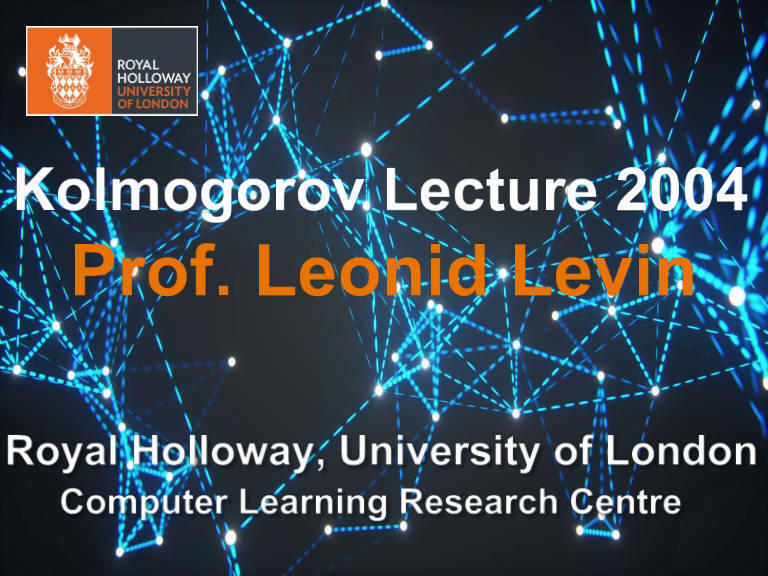 This talk was delivered by Prof. Leonid Levin for the Kolmogorov Lecture 2004. 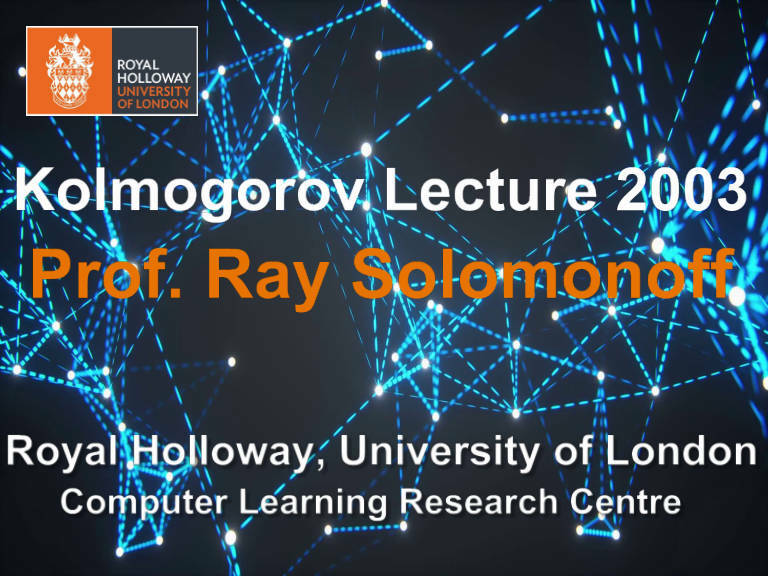 This talk was delivered by Prof. Ray Solomonoff for the Kolmogorov Lecture 2003. 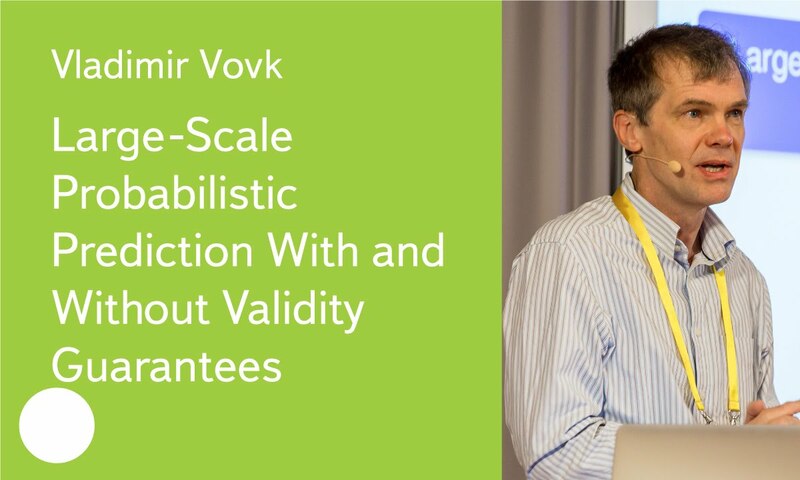 This talk was delivered by Prof. Vladimir Vapnik at SLDS 2015 conference.